Ring in the NEW YEAR Brazilian style! 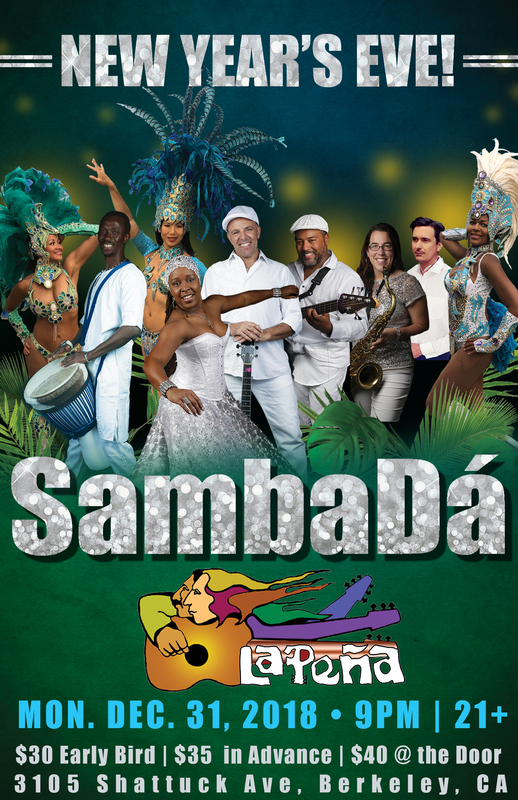 Non-stop Afro-Brazilian-Funk-Rock dance music all night long! Feathered samba dancers and celebrating out of 2018 and into 2019!